In iBusiness suite ERP the Fixed Asset Management Software gracefully scales from single user to enterprise wide application, and provides unprecedented level of control in maintaining the asset data management by centralized the same. In iBusiness suite ERP the Fixed Asset Management Software gracefully scales from single user to enterprise wide application, and provides unprecedented level of control in maintaining the asset data management by centralized the same. Tracking assets is an important concern of every company, regardless of size. Fixed assets are defined as any 'permanent' object that a business uses internally including but not limited to computers, tools, software, or office equipment. While employees may utilize a specific tool or tools, the asset ultimately belongs to the company and must be returned. And therefore without an accurate method of keeping track of these assets it would be very easy for a company to lose control over them. With advancements in technology, asset tracking software is now available that will help any size of business track valuable assets such as equipment supplies and current user location etc.. Asset tracking software allows companies to track what assets it owns, where each is located, who has it, when it was checked out, when it is due for return, when it is scheduled for maintenance, and the cost and depreciation of each asset. 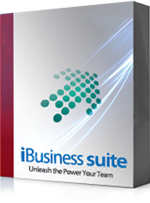 The reporting features that is built into iBusiness suite provides pre-built reports, including assets by category and department, check-in/check-out, net book value of assets, assets past due, audit history, and transactions. All of this information is captured as the part of the ERP. As a result, the company can reduce expenses through loss prevention and improved equipment maintenance. This reduces new and unnecessary equipment purchase and can more accurately be calculated taxes based on depreciation schedules. Efficient asset transfer and control is a unique feature of iBusinesss suites. it's powered with work flow from request to material acceptance. 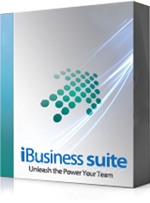 It allows to transfer as a part or whole the asset coding,numbering and depreciation management are powerful features of iBusiness suite. Eliminates time delays with automated transfers and comprehensive electronic audit trails. Seamless integration for maximum efficiency. Reduces the learning curve of changing systems by using your existing terminology for processes and data elements. Manage property from acquisition through disposal without sacrificing the security of your data Asset Works software regulates users to securely interact with only the necessary elements at different stages of the process. Keeps all data and process information in one place. Integrates key data and business processes into one system including the location of the asset, transfer process details, maintenance, calibration and repair tracking, automated approval routing, and more. Avoids the need for the large initial capital outlay generally associated with software purchases. Users can access the application over the web and this eliminates the added internal need of costly hardware and maintenance. For a free consult please submit your contact information.